IT equipment and services are an investment in your business productivity. IRG has the products and the expertise to assist you to make the right investment on time and within budget. IRG Plotters & Printers, Inc. would like to be your preferred vendor for IT equipment, furniture, service, media and office supplies. IRG sells, leases, and rents, services and furnishes supplies for all makes and models of IT equipment and software. Ensure your line drawings, documents and presentations are accurate, bold and compelling. Gain exceptional indoor and outdoor versality, improved turn-around time, tap into new business lines. For every project you take on from photography to design to proofing, the latest technologies can elevate your prints to new heights. Scanner solutions provide a fast and effective system for printing, copying, archiving and distributing maps, drawings, renderings, site and facilities management plans, design and layout proofs, posters and more. IRG is a leading reseller of several large format scanning brands. Stand-alone scanners and complete scan-to-copy, file, share cloud solutions are available. It's easier than ever to meet your scanning needs with the latest capabilities. 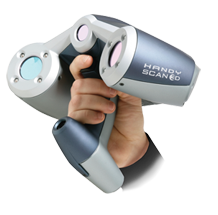 Let us help you decide upon the best manufacturer that will assist you to achieve your scanning needs. We offer complete delivery, installation, and training services. After you've printed, the job's not over until the finishing's done. IRG offers excellent quality wide format and high speed laminators, mounting machines, foamboard trimmers, paper drills, corner rounding equipment, and binding systems. Get access to the leading RIP software for all your specialized imaging solutions. IRG offers complete software installation and training when required, as well as workflow and custom profile assistance. We can teach you how to do it, or we can do it for you. Our team has the industry knowledge to complete the most complex projects. If you would like a quote for custom profiles and color services, please contact us. Onyx Graphics RIP Software: Simple. Innovative. Proven. Wasatch: RIP and Print Management Software. Whether for personal, professional, or for production, today's competitive environment makes choosing the right 3D printers and scanners more important than ever. Today, 3D printing and 3D scanning offers transformative advantages at every phase of creation, from initial concept design to production of final products and all steps in between.